Click on one of the small images of the table below to get to a bigger image, the images are presented chronologically. 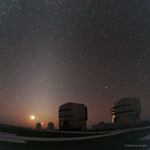 The last image shows the Zodiacal light as well. 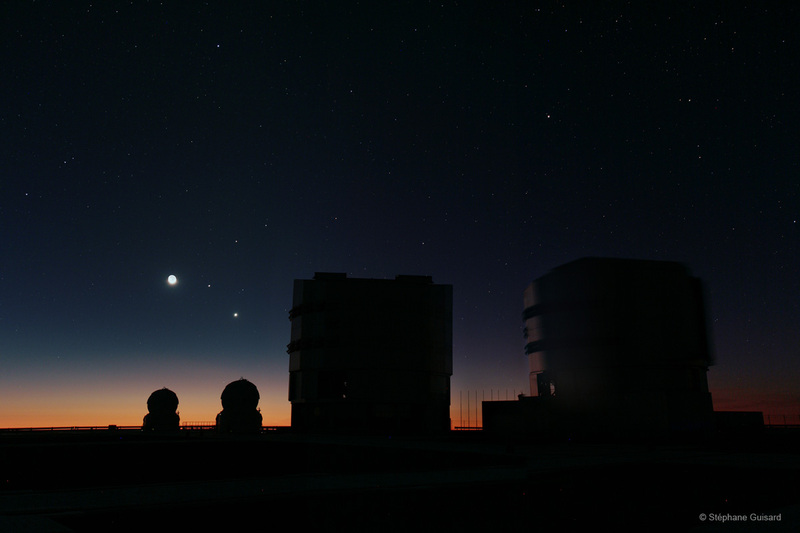 Two auxiliary telescopes (1.8m diameter) and UT1, one of the 8m unit telescopes of the Very Large Telescope (VLT), looking quietly at the Moon, Venus (brightest planet on the picture), Mercury (Between Venus and the Moon) and Mars (redish point above Mercury and Venus). 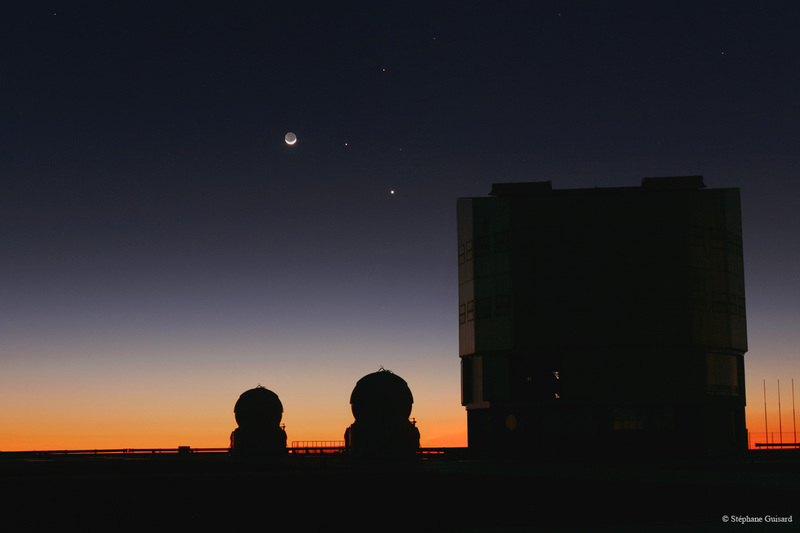 Two auxiliary telescopes (1.8m diameter), UT1 and UT2, two of the four 8m unit telescopes of the Very Large Telescope (VLT), looking quietly at the Moon, Venus (brightest planet on the picture), Mercury (Between Venus and the Moon) and Mars (redish point above Mercury and Venus). 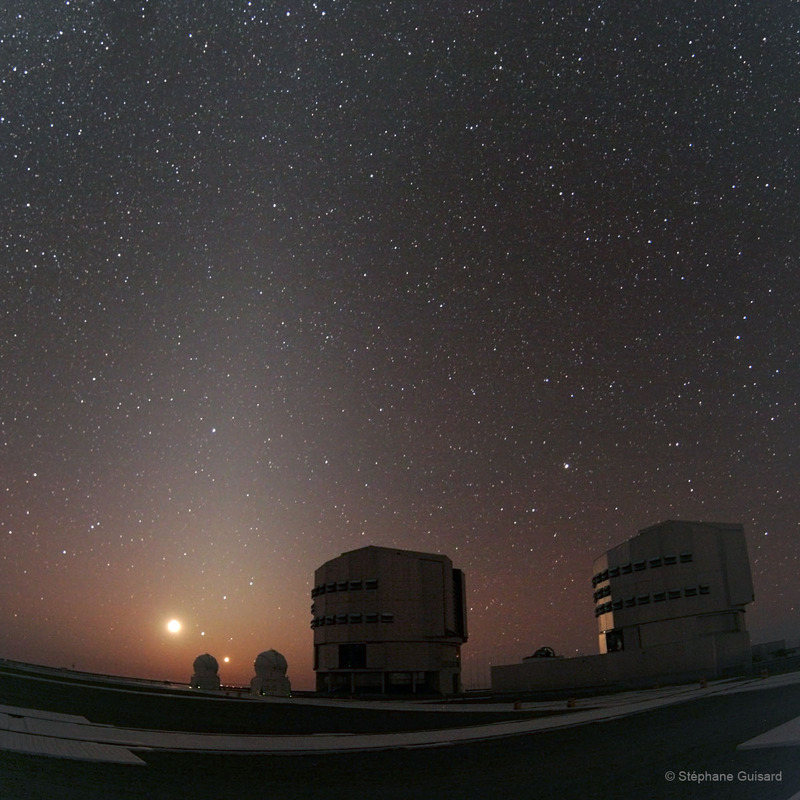 The image below shows the same scene somewhat later with the stars and zodiacal light visible, the exposure time was larger, explaining why the dome and ground can be seen.